BANGLA juvenile literature is very rich, ranging from fairy tales to teenage classics to science fictions to ghost stories. First let's take a look at children's books. Princes and princesses, monsters and demons, ghosts and ghouls, fairies and imps, witches and wizards…and all those characters which live in a child's imaginary world are depicted vividly in the children's fairy tales. For a long time Bengali writers have been writing juvenile stories about such imaginary characters, which have successfully captured the fascination of young children. Nowadays, though the fairy tales for young children are being influenced by Disney classics, the normal Bangla fairy tale trend has not vanished completely. The usual stories about a princess being kidnapped by a hideous monster and the prince speeding across a vast "tepantorer maath" on a "ponkhiraj" to rescue her, are still enjoyed by the youngsters. Many of the fairy tales are passed down the generations. These were usually stories that a grandmother would tell her wide eyed, open-mouthed grandchildren who would not rest until the prince rescued the princess, got married and "lived happily ever after". Such stories were later on collected to form fairy tale books. One of the most famous fairy tale collection is undoubtedly the "Thakur-maar Jhuli". Apart from these compilations, many famous writers like Upendrokishore Roy Choudhury had written children's stories, which are still loved by the children. No matter how much popular the English fairy tales are nowadays, Bangla fairy tales have always been a part of growing up for nearly every Bengali child. I am sure that there is hardly anyone who has not grown up listening to fairy tales like "Panta Burir Golpo". Another well-loved writer who wrote stories for young children is Shukumar Roy. He had an amazing ability to write such stories that set his readers laughing their hearts out. All his writings are so humorous and jocular that they can change any frown to a smile in no time. And of course his stories are loved by children of all ages and adults alike. One of Shukumar Roy's most famous collections, "Shamagra Shishushahitya" consists of a vast collection of short stories and poems for young children. 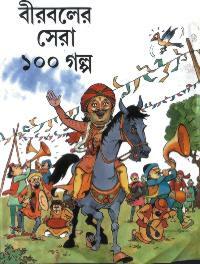 Shibram Chakrabarti is another master storyteller who, through his unique style of writing, has conquered the hearts of all the Bengali children. Now coming to teenage classics. Like the olden days, teenage classics mainly comprised of mystery and adventure-based stories. Young minds are always brimming with enthusiasm and vivacity and they always look forward to an adventurous life. Therefore such adventure stories highly captivate the fascination of teenagers. Many Bengali writers have written mystery stories for teenage group. Books by such writers as Kazi Anwar Hossain, Niharranjan Gupta and Satyajit Roy were the craze of the time. Kazi Anwar Hossain wrote a series of detective books such as "Kuashaa", "Tin Goyenda" etc. He also wrote a series of spy thrillers with the popular Masud Rana" as the main character. Niharranjan Gupta's was a very famous writer who also wrote detective stories for children. He created the Bengali Sherlock Holmes -- "Kiritee Rai". This gallant crime-solver is perhaps one of his most famous characters. Another famous (or rather infamous!) character created by Niharranjan Gupta was "Kalo Bhramar", a notorious, dangerous and intelligent criminal. Most of the plots of Niharranjan Gupta's stories revolve around atrocious crimes committed by "Kalo Bhramar" and his gang and Kiritee Rai's investigations to track them down and solve the mystery. Many of these thrilling stories are collected in different books, which are immensely enjoyed by the young population. "Kiritee Omnibus" and "Kalo Bhramar"
are a few to name. Talking about mystery stories, the name of renowned writer and playwright Satyajit Roy comes to mind. Satyajit Roy wrote many detective stories with his famous crime-solver "Feluda" as the main character. These detective stories are so popular that it was even made into a television programme. Another of Satyajit Roy's creations was a crazy professor called Professor Shonku. Satyajit Roy has written quite a few books on the thrilling discoveries of this professor. Besides all these, Satyajit Roy has written a number of short stories for children. These hilarious and amusing stories have been compiled in two volumes of "Shera Satyajit". Satyajit Roy was also a playwright. He wrote many plays, out of which some have been made into movies. Some of his famous movies were "Gopi Gayne Bagha Bayne", "Hirok Rajar Deshe" etc. The children today still enjoy Satyajit Roy's detective stories very much. To keep up this trend more writers are coming up with detective stories for children. Writers like Sharier Kabir, Rakib Hassan etc. have written many adventure and detective stories for children. One of the most famous and acknowledged adventure storywriters is none other than Dr. Muhammad Zafar Iqbal. He wrote numerous adventure stories, which captivated a huge population of young readers. 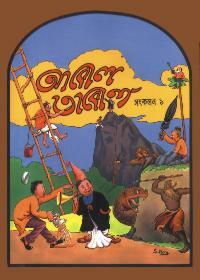 His famous adventure stories were all collected in two volumes of "Kishore Upannyash Shamagra". The characters of these stories are almost always little boys and girls who get entangled in some adventure and unravel the mystery. One of the reasons that these stories are so much popular among youngsters is that, there is a great deal of humour involved in each of the stories. In each story the writer portrays the young characters in a very realistic way, by describing some of their mischievous pranks. He has described really well, how a few young boys climbed over walls to pick mangoes from someone else's tree, and how young girls dressed up as ghosts and scared away some people. Very typical of young children! Besides these, Muhammad Zafar Iqbal also writes science fictions, which are even more popular than adventure books. His science fictions are totally out of the world! They take the readers into a totally different world with robots, aliens, spaceships and other extraterrestrial gadgets and creatures. Most of the stories are set a few hundred years in the future. These stories are enjoyed even more because they describe things that people have never seen or heard of. These stories give young children the freedom to extend their imagination. Another vast field of Bengali literature is horror stories. These types of stories are very uncommon in other parts of the world. The horror stories range from light ones for young children to spine-tingling thrillers for the teens. The ones written for young children are completely unique in our subcontinent. The most popular ghosts that scare little children to death are the "Mamdo Bhoot", who usually lives on the top of a Banyan tree, the "Petni", who wears a white sari and haunts old houses, or the "Daini buri", who kidnaps young children and throws them into her hot cauldron. Mothers take aid of these 'scary'(!) characters to put their naughty children to sleep and the poor children quickly shut their eyes thinking of the circumstances if they ever fell into the hands of these abominable creatures. The horror stories for teenagers are usually much more frightening. The stories revolve around incidents in crematoriums, haunted houses, dense thickets and other terrifying places. Other stories are about resurrection of the dead, free evil spirits, possessed people and ghastly animals like werewolves. Writers like Shirshendu Mukhapadhay, Mahashweta Devi, Sunil Gangapadhay, Syed Mustafa Siraj and many others wrote numerous horror stories, which provide hair-rising, spine-tingling entertainment for hours. Many of the young people of this generation of our country mainly read English stories and classics. The glory of the rich Bengali juvenile literature is gradually fading. Though stories for very young children are still popular, the Bengali teenage classics are being subdued by English classics. 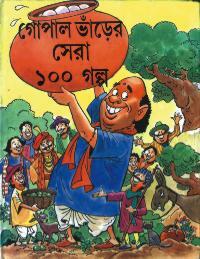 Unfortunately the well-loved Bangla stories of the past are rarely available in the market. If these olden books were reprinted, the children could once again get the chance to know our age-old tales. It would revive the heritage of the Bengali juvenile literature.